The French Program 4th Graders are in Fumel, France, for a 10-day cultural exchange trip. Students are living with French host families, and experiencing French life and culture firsthand. 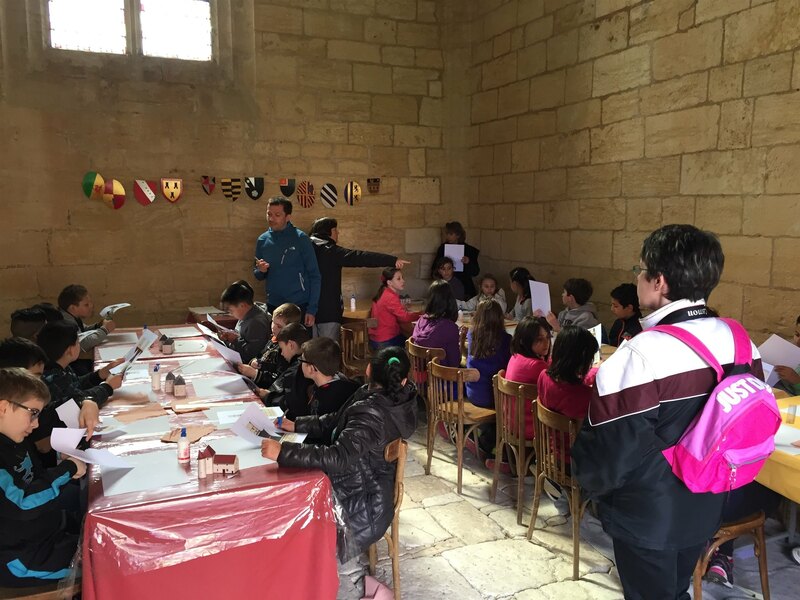 Assistant Head of School Kate Lussen and ISTP French teacher Cynthia Munster are accompanying our students, and in this blog they offer some updates on their adventures! Day 1: Today was a very full and active day. We met at the school in the morning and joined the two Fumel classes for a field trip. The bus took us first to the little village of La Capelle Biron, just next to the even smaller village of Saint-Avit, which is home to the musée de céramique and the 16th century potter, Bernard Palissy. The students formed three groups and each took a turn doing one of three activities - making ceramics, hiking from La Capelle Biron to Saint-Avit, and having a tour of the monuments to the village’s Resistance in WWII. We had lunch in a park next to a lovely river and all of our students had a great time playing with the Fumel students. 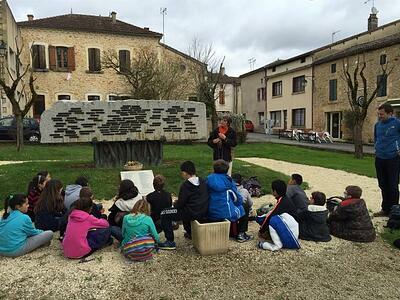 After lunch, we took the bus to the Chateau de Biron, where we had an architecture tour and workshop in two groups. The chateau was first built in the 12th century and retains elements of various architectural periods since. The students made paper versions of the chateau, which was a more complicated process than it first seemed, but everyone persevered and did a great job. Day 2: We spent today in Fumel itself, starting with a group debrief at the school. We met as an ISTP group in the library to check in and share experiences with our host families so far - playing outside after dinner, collecting warm eggs from the chickens, eating liver for dinner, and playing board games with the family, to name a few. 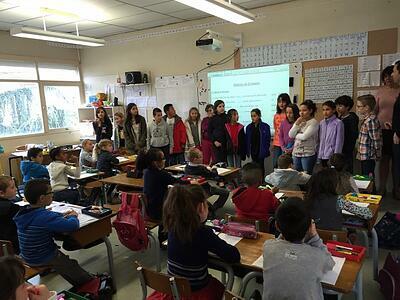 We then had a tour of the school led by the host students, and got introduced to each class. The morning was spent with the two Fumel classes, both in regular class as well as all together for some skits and sharing. Our students then enjoyed lunch from the cantine and were thrilled to have about an hour and 45 minutes for lunch and recess. 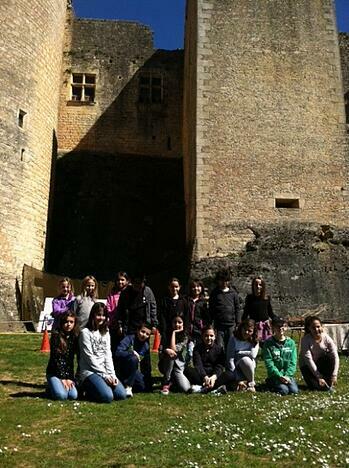 We then walked with the two Fumel classes to the Mairie, which used to be a chateau dating from the 1100s. 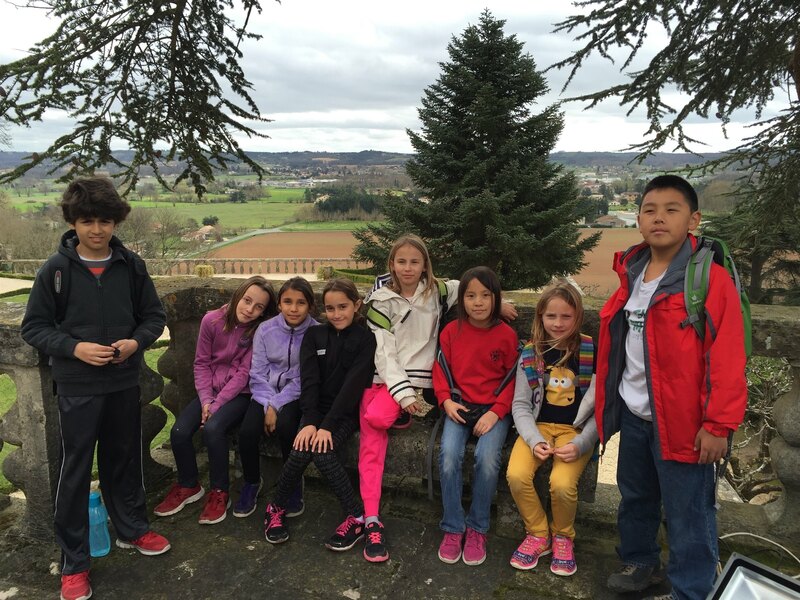 We saw the lovely terraces and the salle de marriage and had a “gouter” before returning to school. We then gathered back at school this evening for a potluck dinner. Everyone seems happy – they are all making lots of friends and enjoying being in the social spotlight! Tomorrow we head to the accrobranches (ropes course). Day 3: Today, we had a picnic and we played frisbee golf and challenged ourselves on the ropes course with the host families and some students from the school. The sky was pretty grey but it was ok, maybe that's why we had the park just for us! Day 5: Today we had a wonderful sunny day. Philippe arrived late last night, and joined the group for the visit. All day was spent at the phenomenal Chateau de Bonaguil, where we met at our host families. 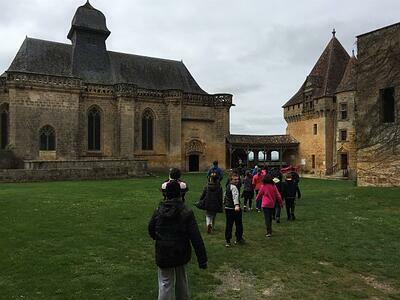 The children were filled with awe as we caught our first glimpses of the Chateau. Upon arrival, our tour guide led us on a very detailed and engaging tour of the castle. We visited the different towers, the boulangerie, and the dungeon. At the top of the castle, we were astounded by the view and stopped for a few pictures. After our tour, we met up with our host families and ate lunch together. After lunch, the children, Olivier, and Cynthia participated in archery. We were impressed by their success with archery, their focus, and competitiveness. 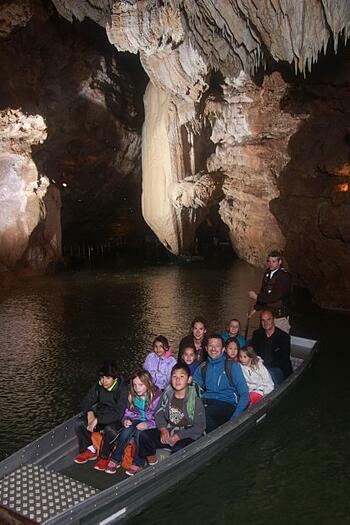 Day 6: Today we visited the Padirac Cave, a gigantic cave with a river, 100 meters underground. Then we went to Rocamadour, a really pretty village build on a hill. We had lunch in a restaurant and ate duck confit or beefsteak with salad and fries. We shopped for some souvenirs and climbed the hill to finally watch a bird show, featuring vultures, eagles, parrots. The weather was sunny and warm and we had a lot of fun. Tonight is the last night in the host families. We leave tomorrow morning to Carcassonne via Toulouse.